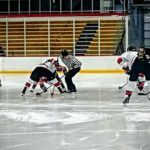 Marquette, MI – January 16, 2018 – The Marquette Redmen hockey team defeated the Escanaba Eskymos 5-1 on Tuesday night, in a game that was broadcast live on 103 FXD and wfxd.com. 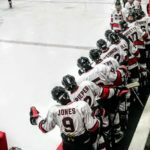 The Redmen, who came into the game on a four game winning streak, were able to pick up their fifth straight win against the Eskymos. Marquette didn’t have to wait long to get their offense going, as Sean O’Connor scored the game’s opening goal just 2:48 into the game. The Redmen continued peppering the Escanaba goalmouth throughout the first period, and despite a stellar performance by Eskymos goaltender Brodie Goddard, Joey Phillips picked up a powerplay goal at the 13:10 mark. Just over a minute later, Tanner Phillips scored, giving Marquette a 3-0 lead , which they carried into the second period. The Marquette bench celebrates a goal. 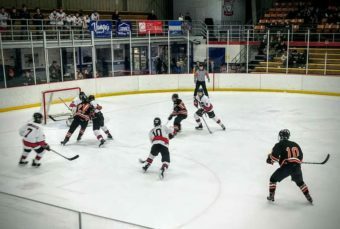 Escanaba tightened up their defensive play in the second period, and held Marquette goalless until halfway through the frame, when Kobie Guidebeck scored a powerplay goal and extended Marquette’s lead to four. The Redmen were unable to break through the Eskymos’ defense for the remainder of the period, and after two, the score was 4-0 Marquette. 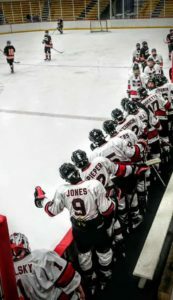 The Redmen made the score 5-0 three and a half minutes into the third period when Hunter Doucette got his own rebound and backhanded the puck past Brodie Goddard. 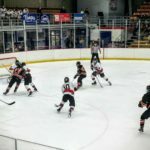 Escanaba got one back on a 5-on-3 powerplay halfway through the period, but this offensive effort was too little, too late for the Eskymos, and the final score was 5-1 Marquette. 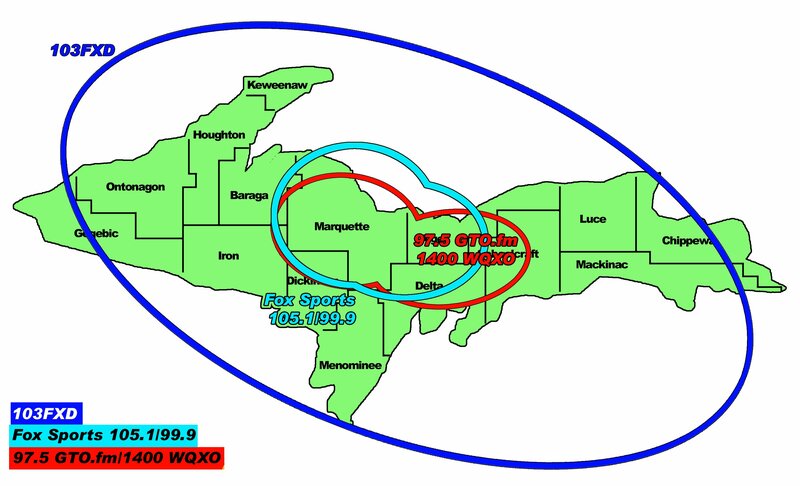 The Marquette Redmen will next take the ice on Friday, January 19, when they play against Flint Powers in the Soo Showcase. 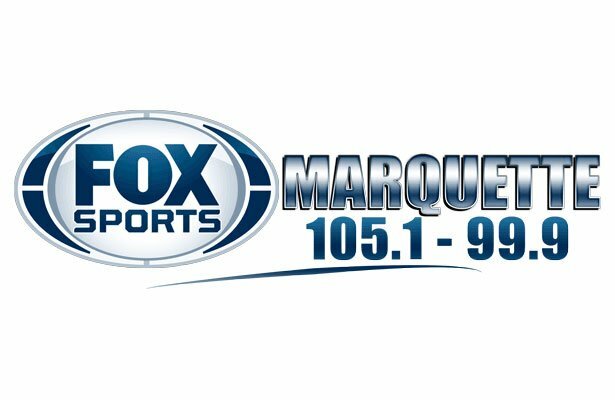 The puck will drop on that game at 6:00 P.M., and you can catch the action on Fox Sports Marquette 105.1-99.9 and online at foxsportsmarquette.com. 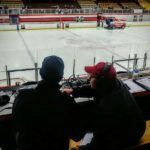 Listen to the audio from the game here. John Thomsen and Joe Gaffney getting ready to bring you the call on 103 FXD. The Marquette Redmen and the Escanaba Eskymos facing off. Marquette’s Tanner Phillips (#10) skates with the puck in his own zone.